Located In: City of Barnum, Skelton Township, Carlton County. 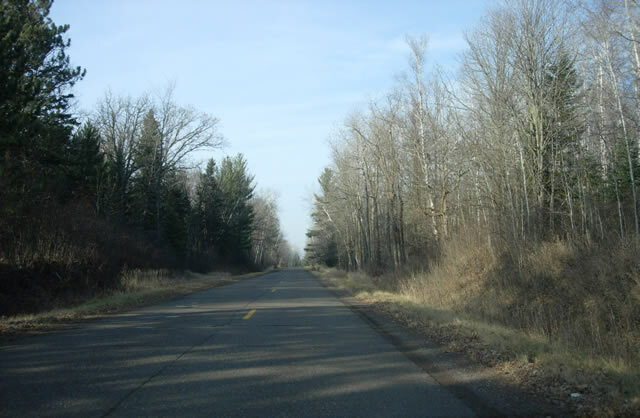 Over a mile of the original paved highway between the Twin Cities and Duluth survives just north of Barnum along the west side of what is now County Road 61. This section was originally completed in 1926 as part of the paving of U.S. 61 between Friesland and Carlton. The pavement was concrete, 18 feet wide. The previous gravel highway also used this alignment. 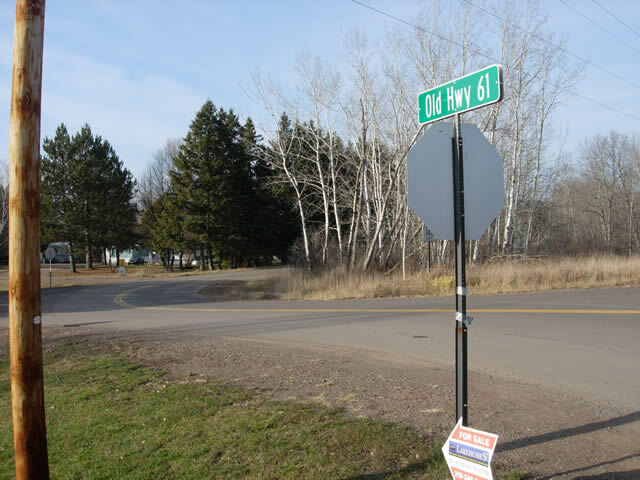 The old road was bypassed in the 1953 modernization of U.S. 61 between Rutledge and the north side of Barnum in order to straighten the highway. The old alignment was taken over by Carlton County after being bypassed and is now marked as County Road 141. The original concrete pavement has been covered with a layer of asphalt. Otherwise, the road has not been rebuilt and retains its original width. 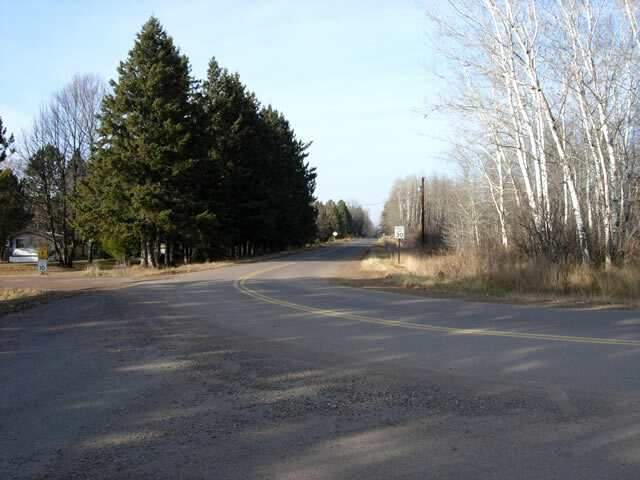 The south entrance to the old highway, looking northwest from County Road 61.
:Looking north down the old highway. One last view to the north on the old highway. Other than being repaved over the old concrete, the road is still fully intact. The good folks at google photographed this entire historic alignment of U.S. 61 for google street view!